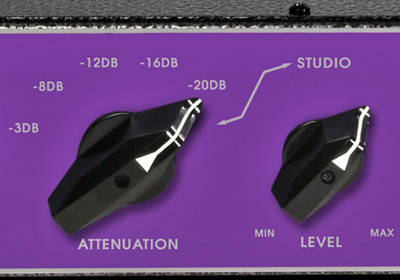 One of the greatest tools for a guitarist to adjust stage or studio levels while opening up the throttle on their tube amp is a great power attenuator. For home or silent recording, having a high-wattage capacity load box gives artistic freedom to record at all hours and in all environs. Whether you’re in an apartment in New York, a club in Hamburg, or even a church in Salt Lake City, the ability to record or perform at controlled, low, or even silent levels is what the RockCrusher is all about. 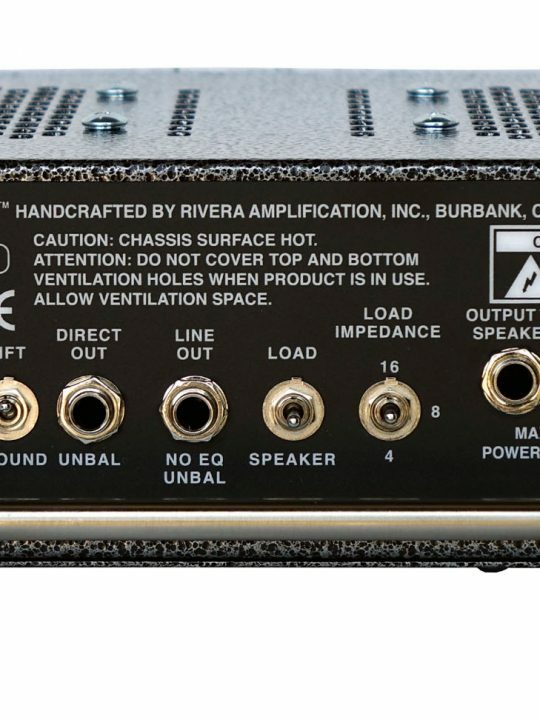 Taking a preamp output or turning down your volume doesn’t give you all of your amp’s tone, because getting your favorite tube amp to perform and sound like it does when it is turned up means that you need the power-amp section to add that rich overdrive character. Unfortunately, there are not enough venues that allow for high levels that come from an amp running at full tone and power through speakers. 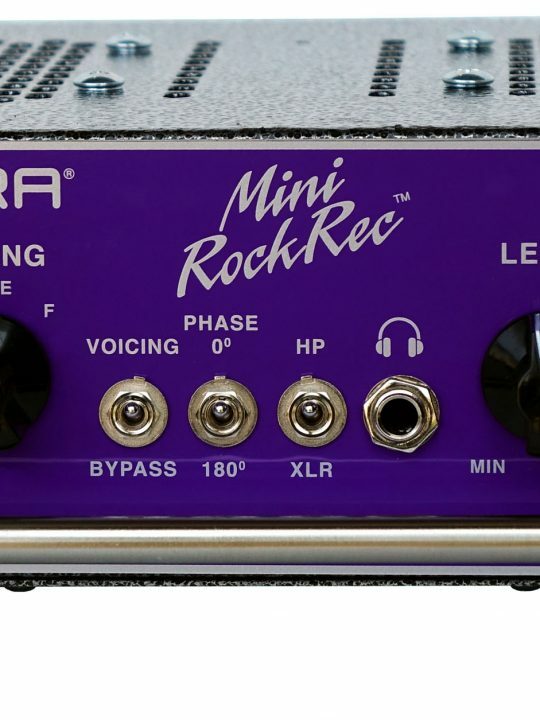 The RockCrusher is invaluable and unbeatably versatile because you can place it between your amp and speaker cab as a power attenuator, or use it in place of your speaker cabinet as a load box while sending its balanced XLR or unbalanced ¼” line out to another amp as a slave, or even send its output to a mixer for recording or live performance. 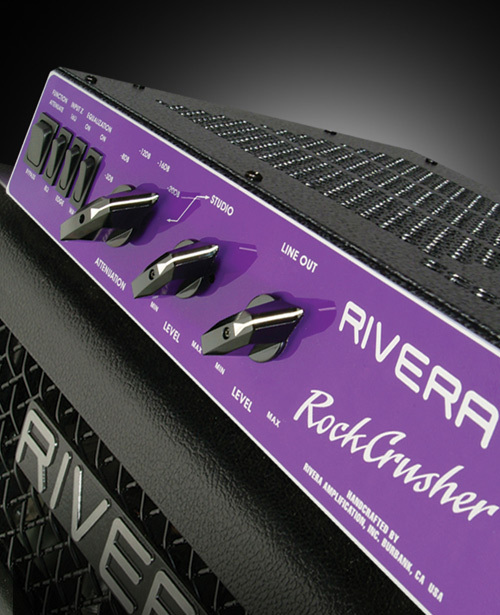 We have designed and built the RockCrusher to be the best and most professional unit available, and here is why: Maintaining the tone is the challenge for all power attentuators. We built into the RockCrusher a reactive load network for proper speaker-amplifier interaction. Rather than a purely resistive load like many of the other power attenuators on the market, the Rock Crusher ensures that the amplifier and speaker see each other in a proper relationship of impedance and inductive/capacitive reactance. This translates to a superior tone, regardless of level. To enhance tonal balance, warmth, and shimmer, there is an Edge and Warm switches that put you in total control of the final output. In addition to providing superior tone, impedance matching is critical for your tube amp’s health and longevity. We gave the RockCrusher an 8/16-ohm selector switch so you can use either value to accurately match your cabinets and amplifiers. We also built in features that ensure the Rock Crusher is easy to use both onstage and in the studio. 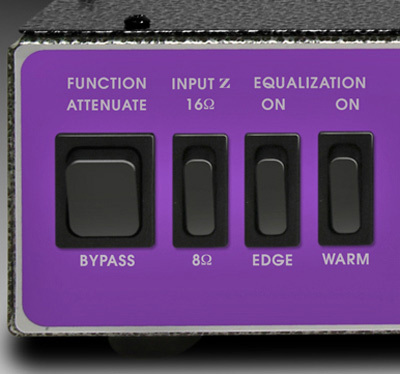 For “bypass on the fly,” which lets you use the amp with a speaker cabinet when full output level is desired, we included a front-panel full bypass switch that removes the load entirely. 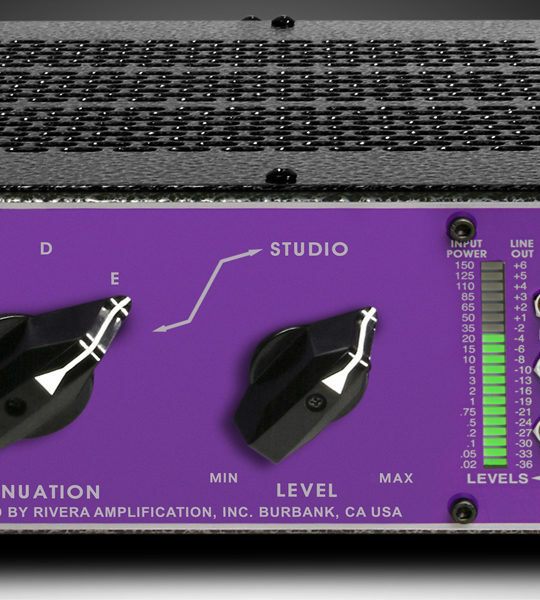 When low speaker volume is desired, there is a Studio position of the Attenuator Level Selector that enables the Studio Level control to adjust from low to quiet output–perfect for home, project, and studio recording. Balanced XLR and unbalanced ¼” phone jacks with a convenient front-panel level control allow interfacing with practically any audio equipment. Two Speaker jacks allow easy connection with up to two speaker enclosures. Bullet-proof construction, a standard feature of Rivera equipment, is also engineered into the Rock Crusher: Within the 16-gauge welded steel chassis of the RockCrusher, heavy-duty and rugged industrial-grade components used throughout, designed to give you years of reliable, cool-running service. In addition, both sides of the RockCrusher chassis facilitate mounting rack ears or other brackets for professional road case installation. New Goldface Rockcrusher available at Sweetwater for GUitar Month 9/2018 Click on picture below for more info! !